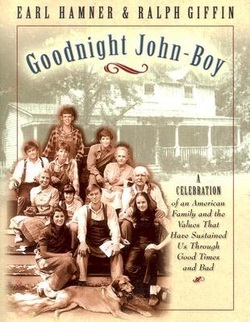 This is a non-fictional book about the 1970s television show, The Waltons. Mainly, it is an episode guide, but it also serves as a brief autobiography of Earl Hamner Jr. and gives some background on the creation of the series too. This is a book which will only appeal to fans of the series, if you’ve never seen or heard of The Waltons before, you won’t enjoy this. While short, the autobiography section at the start is rather interesting for various reasons. As I am an aspiring writer, I enjoyed reading about the ways in which one of my favourite authors became successful in the field and I imagine other writers will enjoy it for the same reason. Also, he writes about how the programme compares to, and takes from, his real life experiences growing up, and so reading this book will likely increase your enjoyment of the series upon future watchings. The second part of the book is the episode guide and this is actually what takes up the majority of its contents. There’s a brief synopsis of every single episode, and details such as airdates are included as well. The best part about it, though, is that nearly every episode’s entry is accompanied with at least one quote about it from a cast member, somebody from behind the scenes or a fan, this is often very interesting information too. Sadly, there are a few areas where I think this could be slightly improved; for one thing, there are one or two episode descriptions which actually contain mistakes! If I, a mere fan, noticed these mistakes, they must be the biggest ones, how do I know that they were not mistaken with some of the more obscure details? Also, there are a few pictures, and all of them are in black and white, it would have been nice if there could be a few more, and if they could have been in colour. This entry was posted in Book Reviews, The Waltons. Bookmark the permalink.